Blog > Purchasing your Next Van > Why Your Family Needs a Conversion Van! Conversion vans are the most versatile vehicles ever made! Conversion vans can be used for a variety of purposes: travel, sports clubs, church organizations, wheelchair accessibility, luxury transport to name a few. Conversion Vans are also the perfect car for your family! Conversion vans make the ideal family vehicle because of their space, safety, entertainment features and ability to serve many needs in one! Space: Families with several children know that space is EVERYTHING! Conversion vans provide tons of space for your kids, pets, carpool, sporting equipment, backpacks, groceries and much more! Never again does mom or dad have to turn around and say, “I’m gonna’ turn this car around!” Conversion vans have three rows of seats, which are easy to access and offer plenty of distance between siblings when needed! Tall vehicle doors, allow parents to easily place children in car seats, safely in and out of the van. Never hurt your back or neck again with easy access doors and seats. Safety: One of the first things parents think about when purchasing a new family vehicle is SAFETY. Rest assured, conversion vans are some of the safest vehicles available. A conversion vans size and dimensions make the vehicle particularly resistant to rolling. Many newer conversion vans are built with features that alert the driver of lane drifting as well as the latest in airbag technology. Entertainment: Purchasing a conversion van means having access to state of the art technology, on the go! Planning a long trip to visit grandma? No problem! A conversion van will keep your kids occupied on long road trips with DVD and video game capabilities. USB ports are great for charging devices such as tablets and phones. Blue tooth speakers will keep your kids watching their favorite movie and keep the noise down so you can concentrate on arriving to your destination safely. Multi-Use Vehicles: Conversion vans are great for transporting children to sporting events, practices and other extra curricular activities. In addition, purchasing a Conversion Van can save your loads of money on expensive plane tickets by doubling as a comfortable travel vehicle. Need a vehicle to take camping? Conversion vans have comfortable fold-down sofas that double as beds for overnight trips. Searching for a Conversion Van for your next family car? Classic Vans is the San Francisco Bay Areas premier dealer of new and used conversion vans, motorhomes and wheelchair capable vans. For over 30 years, Classic Vans has been family owned and operated. 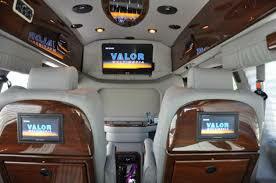 The folks at Classic, strive to deliver quality vans at reasonable prices to their beloved customers. Call (866) 370-8222 or visit www.classicvans.comand find the van of your dreams today! Don’t live in California? No problem, inquire about low-cost nationwide van delivery.